There's something about that bond which pulls me in, even before I was a momma myself. 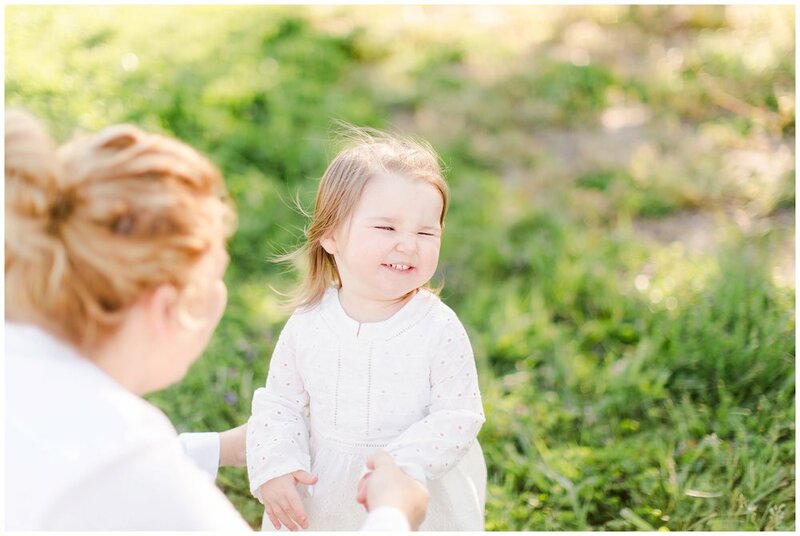 When Jamie said she wanted a mommy and me session with her oldest, I was simply thrilled. I knew it'd be something special. One day R will look back on these images and feel the way her momma loved her. I watched as the joy poured out of Jamie with every little snuggle and tickle. I thought we would both melt as R's tiny little fingers picked a fresh pink flower for her momma. She was so proud. 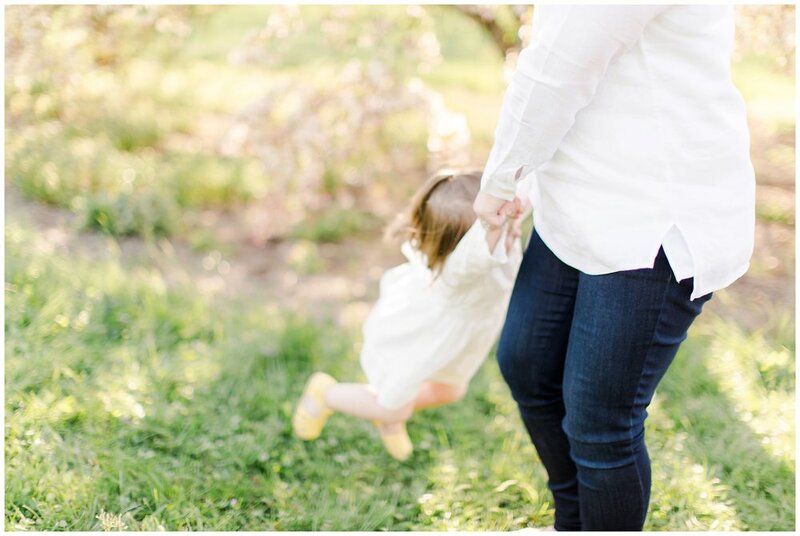 She danced and posed and laughed with her entire body as her momma lifted her to the air in the midst of all the pink blooms a girl could ever wish for. I watched her eyes close with delight and her fully body erupt in giggles. I took a breath of gratitude to witness that pure love and overwhelming joy. UK's arboretum is always abuzz with beauty and excitement in the spring. Every where you turn you'll find colorful blossoms, dogs being walked, kids running about, picnics being had, joggers doing their thing, and more photographers than you can count on one hand. I usually try to stay clear of spots that are busy with other photographers, but there was just something irresistible about all the pink blooms this year. I, apparently, wasn't the only one who felt so as I found almost every pink tree occupied by another photographer. After R shed some tears as her daddy and baby brother went for a stroll, we just hung out by our pink trees as I watched Jamie calm R and help her feel comfortable with all the excitement, then fill each second with tickles, snuggles, chases, and a bit of dancing too. I love the way Jamie describes R... "She is one wild, crazy, dramatic, free-range fire cracker with way too much personality...and those little blue eyes...She is so loving and has such a free spirit. She is so much fun! She shows me all of the joy in the world and how to appreciate the small things."! I know Jamie wished and hoped and prayed with all her might for these days. I know it can all be so hectic and overwhelming, life with a toddler and a baby. I don't ever want you to forget that because there is something oh so sweet and crazy beautiful about that too. I don't want to only capture the peace. I want to capture that beautiful chaos.